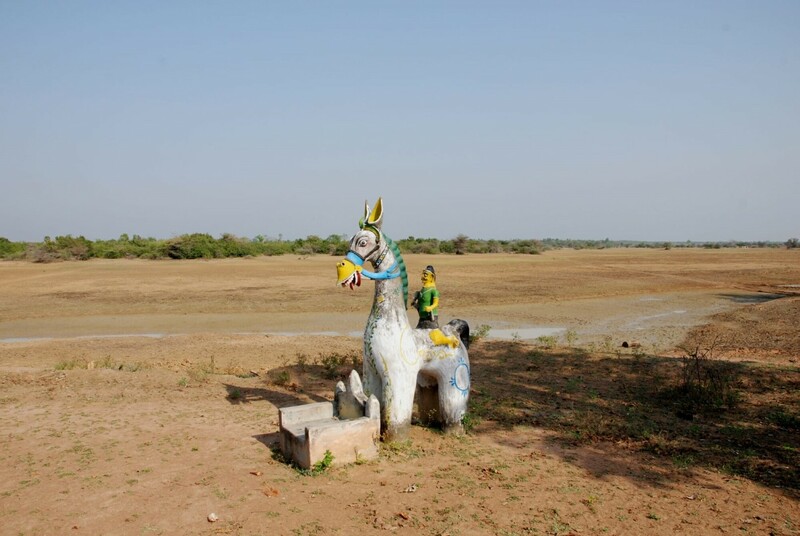 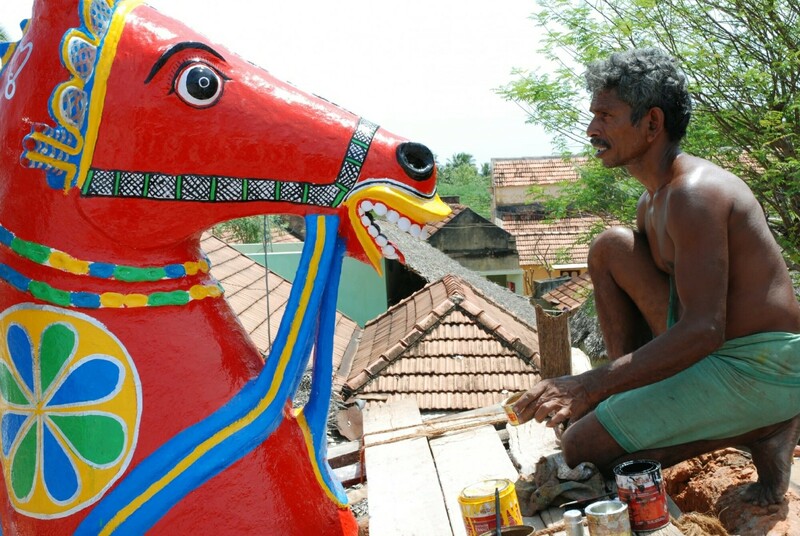 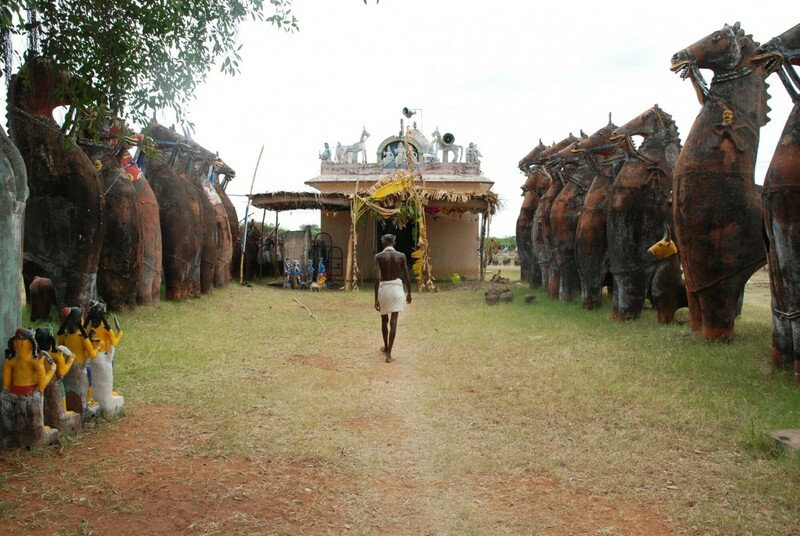 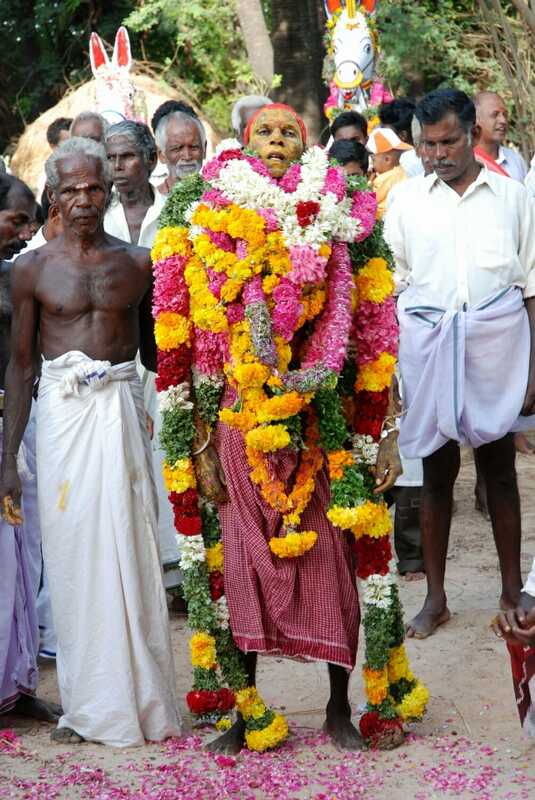 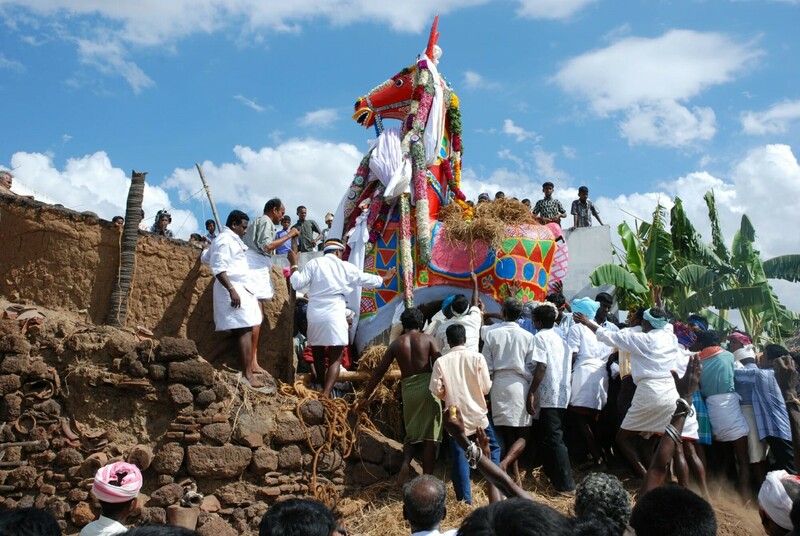 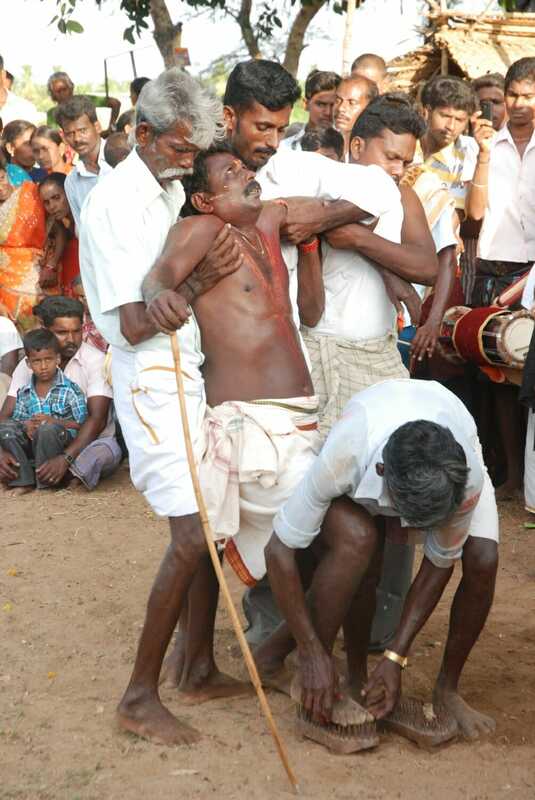 For hundreds of years, village dwellers in Tamil Nadu have honoured their protector god, Ayyanar. 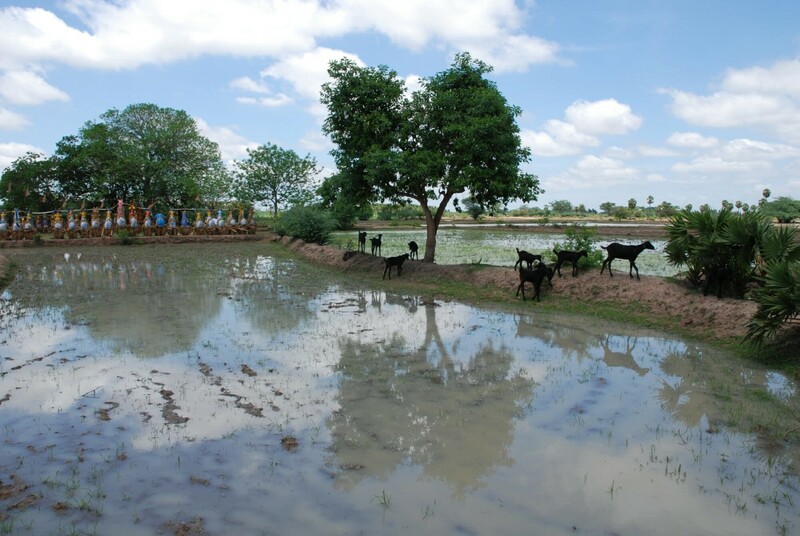 Illustrious god in a land entrenched in deep agricultural roots, Ayyanar protects villagers, their cattle and the harvest; he incites the monsoon rains, the source of life in this hot and arid land. 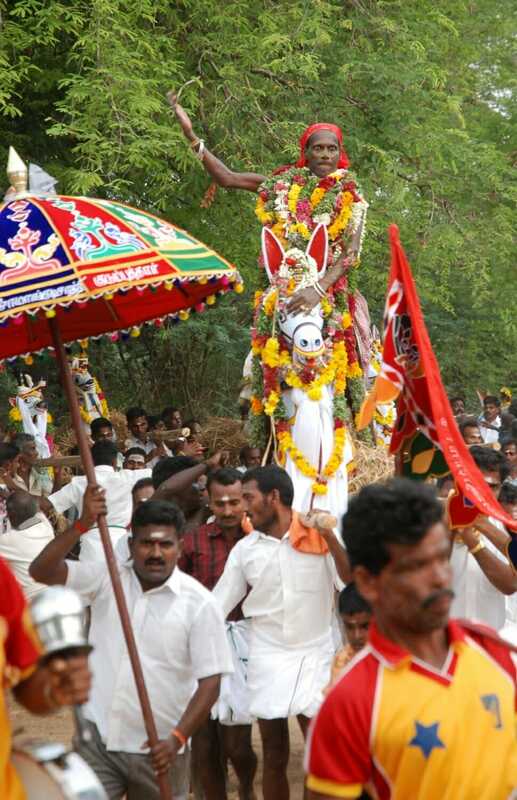 Healer and benefactor of his devotees and bestower of children to his followers, Ayyanar drives away evil spirits and malevolent beings, and, with his army, willingly pursues anything that may interfere with the happiness and prosperity of those who revere him. 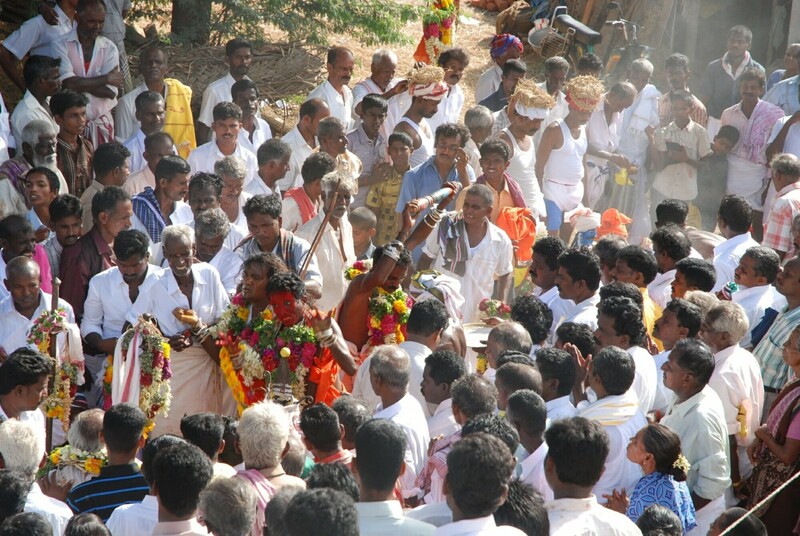 For each shrine dedicated to the god, at the beginning of the summer a meeting takes place among a group of wise men (priests, astrologers, village elders…) to determine the date of the next festival honouring Ayyanar and the various other deities associated with him. 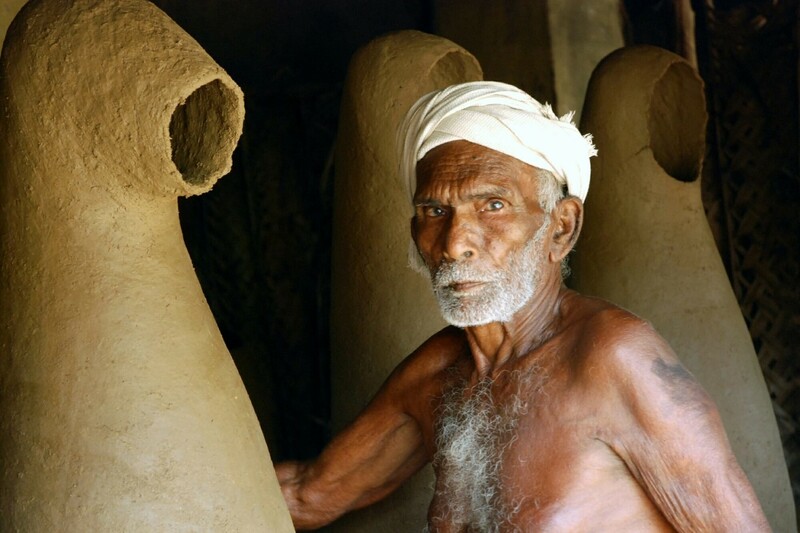 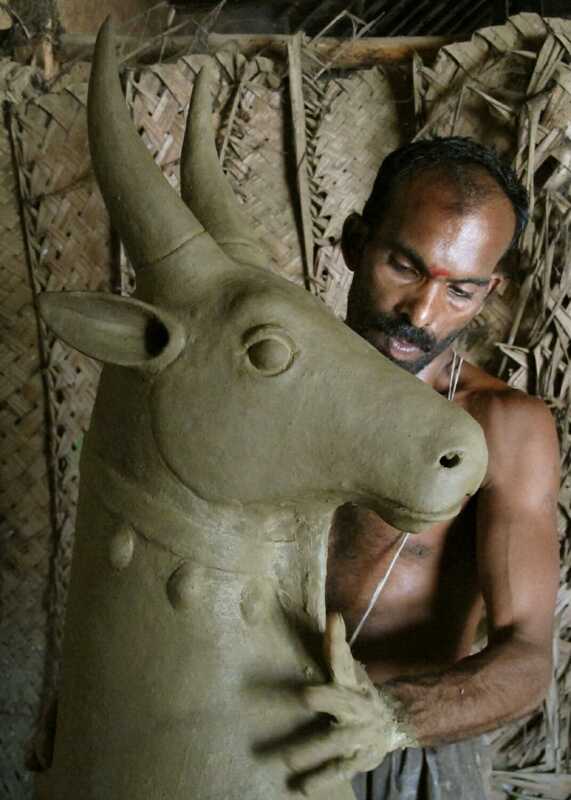 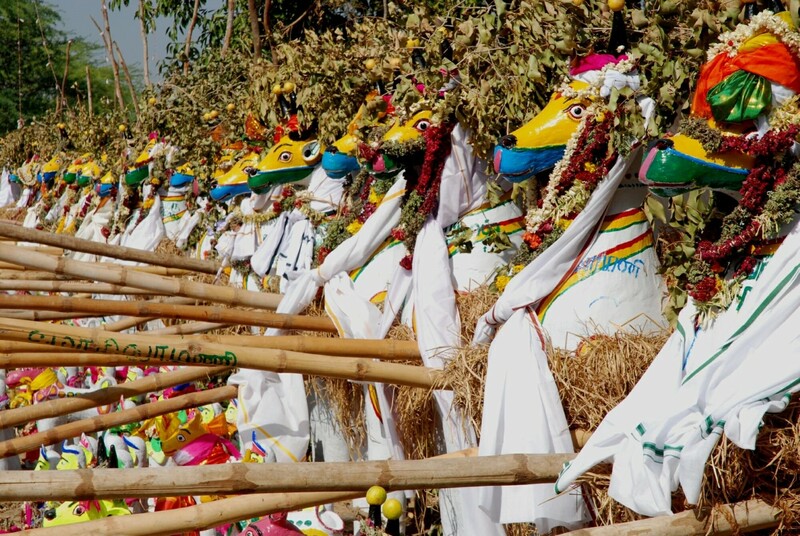 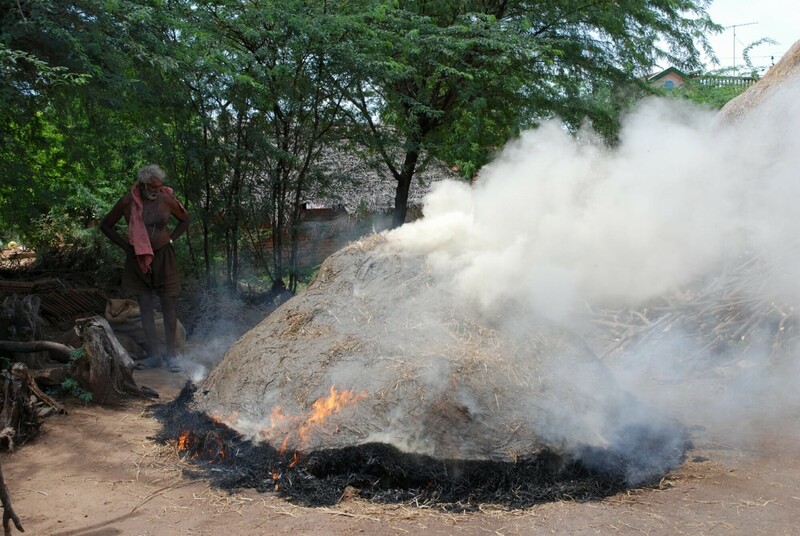 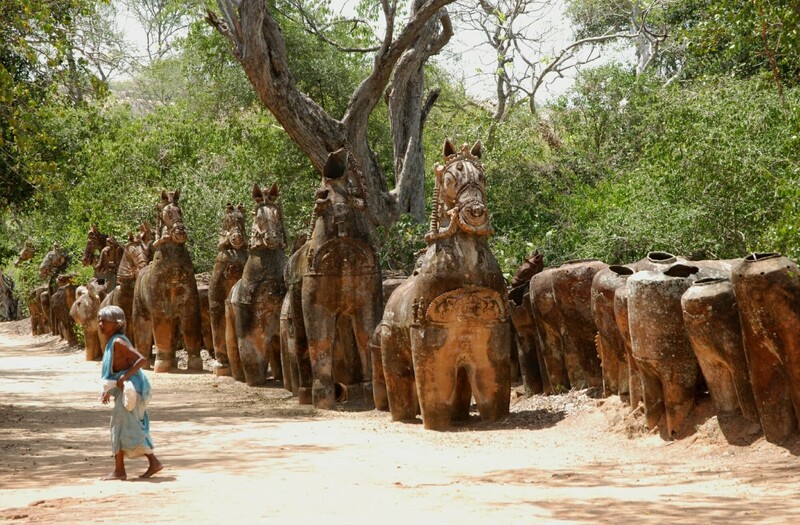 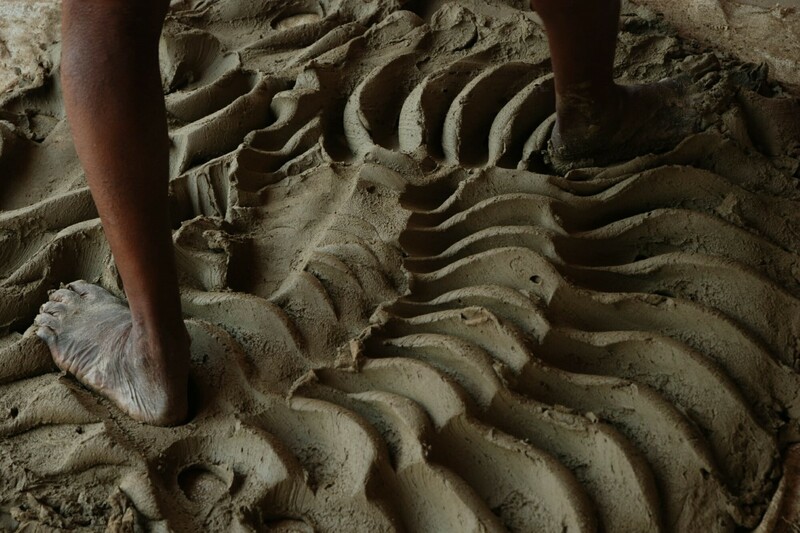 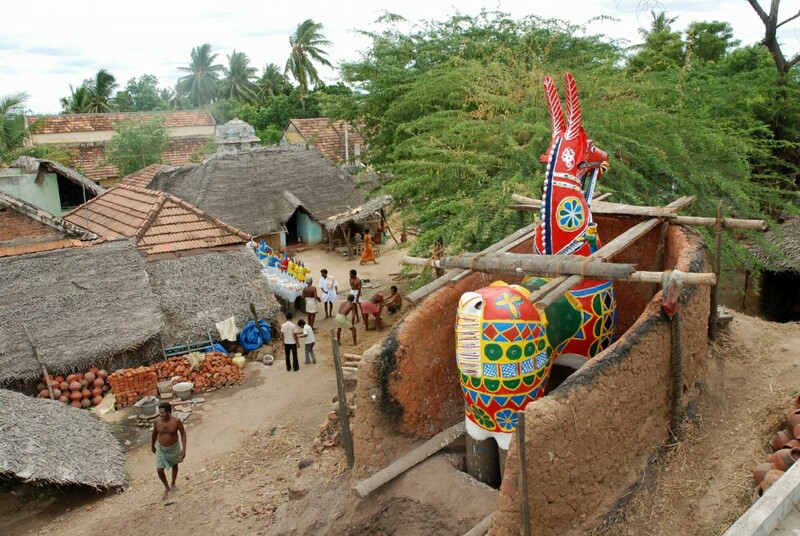 Once the auspicious date is decided, the village potters, for whom it is the hereditary charge, begin to create the various clay effigies ordered by the villagers: life-sized horses and cows, elephants, dogs and snakes, and the devotees themselves. 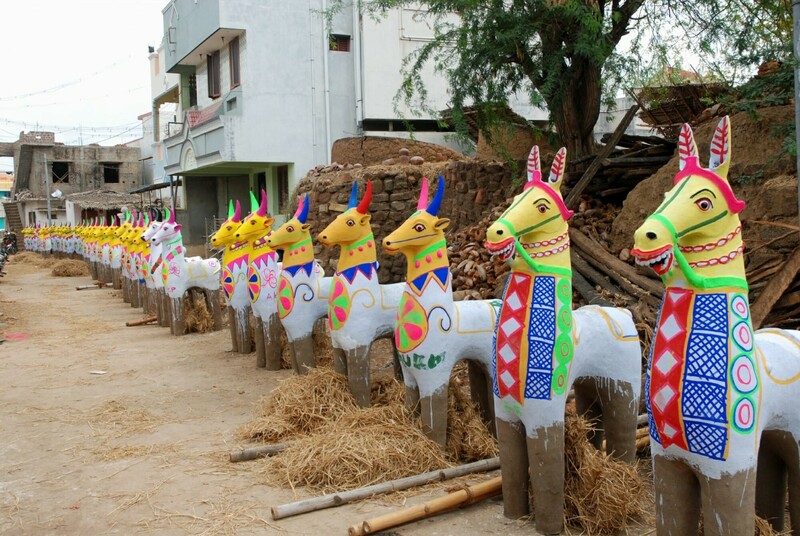 All of these pieces are modelled, dried, fired, painted and finally decorated during the elaborate festival, which often lasts two or three days. 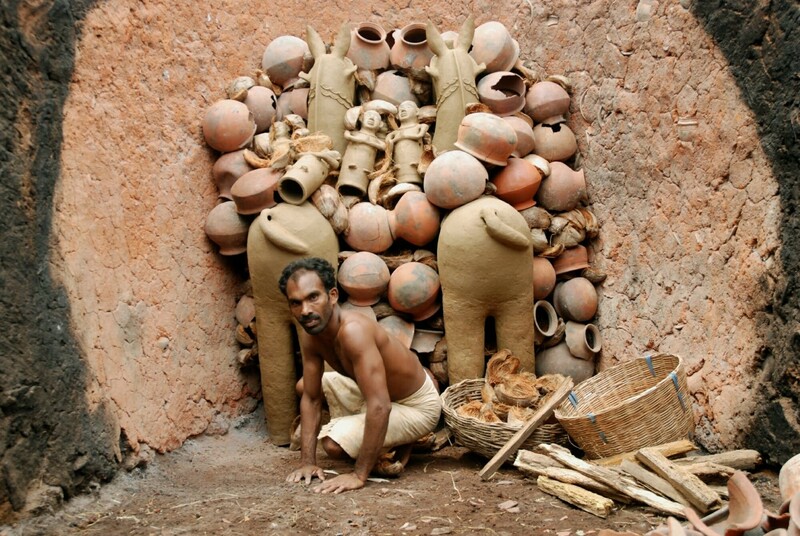 Once the rituals that implore Ayyanar’s grace and give life to the terracotta offerings are completed, the pieces are placed in an outdoor shrine dedicated to the god. 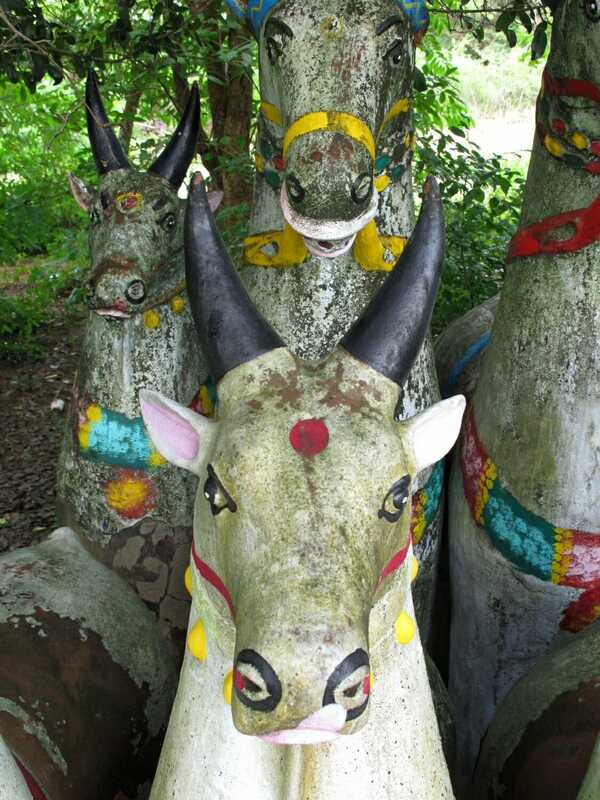 There they will stay: gradually worn by the rain and the wind, occasionally broken by joyful monkeys, inevitably eroded by the monsoon and the years that go by. 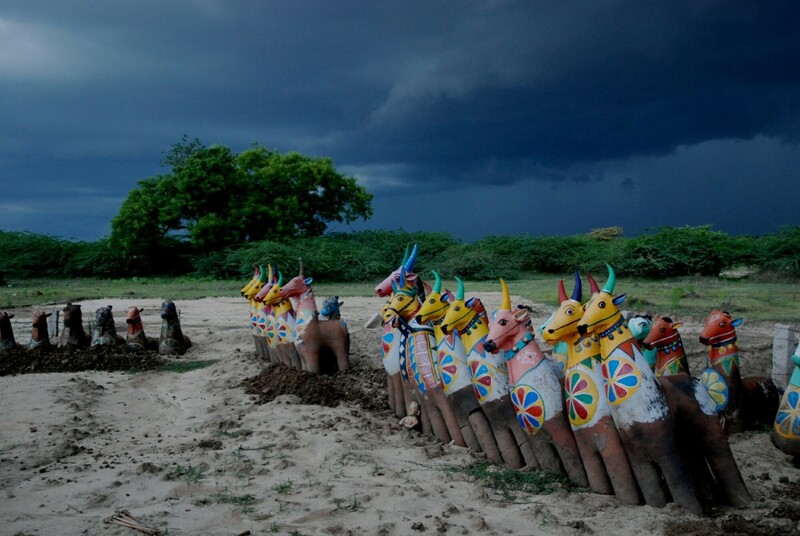 And slowly, with time, they collapse and crumble and, like all things bound to the cycles of nature, once again become earth and dust.